The 9 Best Lunch Spots in Washington State! 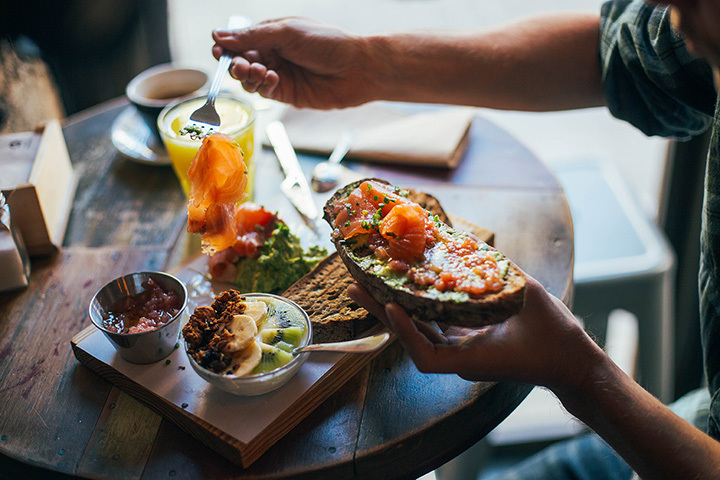 Whether you’re just on a lunch break from work, or you and the whole family are on a road trip looking for a great place to grab a bite, Washington has you covered. From decadent delis to juicy burgers, here are the 10 best lunch spots in the state. Located on the South Hill in Spokane sits the delicious Casper Fry. Its rustic yet modern interior makes for a great place to go for lunch. The restaurant boasts a wide range of drinks at the bar, as well as a great dessert selection. With its Southern-inspired menu, and locally-sourced food, Casper Fry delivers quality comfort every time. Since 1968, Hess Bakery and Deli has been bringing together the finest ingredients to create that perfect sandwich. Specializing in German baked goods and meats, you can be sure to enjoy amazing sandwiches. This little shop has a character all of its own. The Black Cypress is a hot spot for this college town. Offering both traditional Greek and Italian food such as lamb chops, carbonara, and beet salad, this place is popular among locals. The restaurant has an industrial feel with clean lines, mixed with traditional brick. Head on over to the Black Cypress to taste some amazing Mediterranean food, in an relaxing atmosphere. If you're a soup lover, then this is the place for you! In Tacoma, Infinite Soups is a great place to expand your soup palate with over 20 varieties offered daily. The place has an always-changing menu of soup for any preference, whether you're looking for an all-meat option, or even vegetarian and vegan ingredients. The Commons is a popular cafe and bar, located in Woodinville. It serves new American gastropub food for all three meals. The food served at this well-loved restaurant comes in great portions, not leaving anyone wanting. This all-day option restaurant for coffee, a drink at the bar, or some great food will have you covered, no matter what you’re in the mood for. Awesome, Oaxaca-style lunch food made La Carta de Oaxaca Seattle’s best Mexican restaurant in 2012. Tacos al pastor are one of their specialties. So if you’re privy to the delicious combination of fruity and spicy, then you have to experience La Carta de Oaxaca. And if that’s not your dig, they serve up a mean carne asada taco as well. Don’t miss out! Not only is the Harbour Public House nestled on Bainbridge Island, it runs in a renovated historic home. Their menu, which serves four different kinds of poutine, as well as a great burger, sets them apart from other public houses. Serving local bar food and a waterfront view, this public house with a great staff will give you and your taste buds an experience to remember. Rated best burger in Seattle for 10 years in a row by Seattle Weekly, Red Mill Burgers is a force to be reckoned with. Char-broiled patties, fresh green leaf lettuce, a gorgeous tower of bacon, and did we say awesome onion rings and milkshakes too? This place has it all! There’s nothing that says lunch quite like a great sandwich. And according to many customers, these sandwiches are so good, you’ll think about them for days afterward! Pickles Deli in Clinton serves up some plate licking sandwiches and a delicious assortment of other goodies inspired from all around the world. Try the Vietnamese bone broth soup or the Mediterranean grill stromboli for starters! This place has it all!